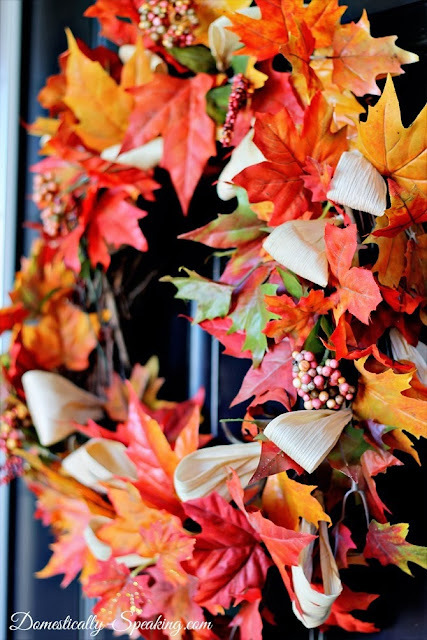 The Collected Interior: Update your Fall wreath with corn husks! Update your Fall wreath with corn husks! It's the most wonderful time of the year!!! Yes, I'm talkin' about Fall :) Everything about it...the chilly weather, the beautiful Fall foliage, sitting around our fire pit on chilly nights. I love it all! Maryann actually made this wreath a couple of years ago. But updated it this year by simply adding corn husks. What an easy update, I love that! 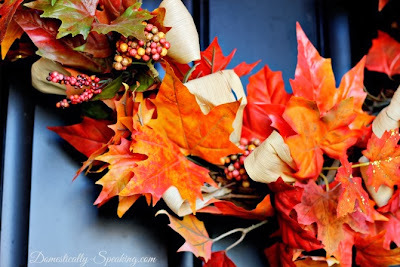 Okay guys, go here to Domestically Speaking and get the scoop on this classic Fall wreath. Thank you so much for featuring my wreath Jane! You are welcome, thank you for sharing your super cute wreath! !